Leica M Edition 60 – A Design Concept . . .
. . . There is a saying in the world of product design and marketing that is as old as those professions themselves – “There’s no such thing as bad advertising”. Take for example the case of Leica, for I believe that with the release several months ago of the M Edition 60 (simply called the M60 from now on), there must be at least one or two Designers and Marketers sat in front of their computers at Leica HQ, rubbing their hands with glee? On the surface however and judging solely by the multitude of impassioned comments this camera has garnered on forums and social media, this would appear to be a peculiar assumption to make. With words such as irrelevant, unnecessary, snobbish, pointless, expensive, elitist, bourgeois and outdated appearing with almost nauseating regularity, how could one deduce that this would in any way work favourably towards building a successful and sought after product? Well, from the wisdom of Oscar Wilde, “There’s only one thing worse than being talked about, and that’s not being talked about”. Herein lies the power of the designer’s and marketer’s ‘art’ – create a product that on first impressions would appear so left-field and so unlike that which one would normally associate with its particular genre. It is of course an advantage if the manufacturer in question is also readily associated with several other choice words, such as quality, competence, exclusivity, precision, history, desirability and reliability. Descriptive terms such as these and when combined with the examples given earlier, serve to create awareness from the general public. Awareness leads to debate and opinion. From this grows interest, which ultimately results in desirability and longing. The eventual goal of this, is of course sales. The Leica M60, a screen-less and menu-less digital camera, is one such example of this process in action. 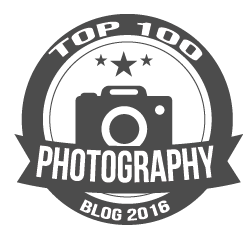 It has certainly generated interest amongst the photographic community and invited its fair share of opinion and discussion. It would also be safe to say that the M60 has become particularly desirable – if only it wasn’t offered to the buying public in such a small quantity, or for that matter, was so expensive? ‘Expensive’ is of course a highly subjective and relative term – there are those who would say that £30,000 for a new car is ‘quite reasonable’, whilst on the other hand, many would satisfy themselves with a second hand vehicle, and feel that £5,000 would be the absolute limit (myself included). The perceived expense and limited production run of the M60 also becomes less of an issue when we examine exactly what it is – a Design Concept. A Design Concept by its very nature is just that, an idea. In this case Leica’s designers (in association with Audi), were tasked to develop a camera which encapsulated ‘the four essential functions’, those being Shutter Speed, Aperture, Focusing and ISO Sensitivity – itself a nod towards the acclaimed ‘photographic perfection’ of the M3, the very first ‘M’. Further steps towards creating an interpretation of the perfect photographic experience, included the acknowledged strengths and ‘reliability’ of stainless steel – and not just for the body itself. The lens (a Summilux 35mm f/1.4), its hood and even the caps for both the body and lens, are also made from the same material. Where this design concept differs from others, whether they be automobiles, mobile phones, or even toasters, is that Leica chose to offer the results of their labors to the photographic public at large – partly in order to recover some (if not all) of the considerable development and manufacturing costs, but also because of the huge kudos this brings to the Leica brand in terms of advertising and exposure, as well as an example of what they as manufacturers are capable of achieving. Typically however, design concepts are never intended for wider consumption, invariably only seeing the light of day in magazines or on the web, at shows or in design museums. In fact, many of these are typically nothing more than non-working mock-ups, intended solely to demonstrate a principle. Of course the M60 could also possibly be regarded as a prototype. However, ‘prototype’ would imply that it represented a development stage of a camera that is ultimately intended for release as a production model – no word from Leica yet as to whether there will be such a camera offered for general sale, however I have a greater than nagging suspicion that ‘this is more than likely’. (UPDATE: I was right of course, as Leica then released the M-D 262). Naturally of course, the process of producing an extremely limited quantity (600 worldwide) of a groundbreaking, inherently complex and exacting product such as a digital camera, is from start to finish both time consuming and inordinately expensive to achieve. New materials require alternative tooling and machining methods, as well as differing approaches to construction and so on. Then there’s the specially written camera firmware, the bespoke packaging and the fact that the M Edition 60 also comes with a lens, the Summilux 35mm f/1.4. An ‘ordinary’ M Type 240 (which the M60 is based on) complete with a regular Leica 35mm f/1.4 lens would set you back somewhere in the region of £8500. After consideration then, the asking price for the M60 of £12,000 (assuming you can still find one, or for that matter afford it), suddenly begins to make sense and dare I go as far as to say it, even good value for money? It’s inevitable though that the largest number of the 600 or so cameras that find their way into private hands, will be bought solely as collectors items and locked away until ‘the time is right’. The particular example that I currently have for review (and sitting on the desk staring at me), is however intended to be used for the purpose of taking photographs, as born out by the number of actuations attained so far (8388) and the two photographs shown below. These are as they came from the camera (DNG’s converted to JPEG), without any enhancement of any kind, except for the usual resizing and reduction in resolution. Leica M Edition 60, Summilux 35mm, f/1.4, 3000/th, ISO 200. Leica M Edition 60, Summilux 35mm, f/1.4, 2000/th, ISO 200. Yes, surprise surprise, the Leica M Edition 60 is a ‘real’ camera, designed to take real photographs and in the real world – not just as an item for display in a glass cabinet, or as a ‘nice little earner’. With this in mind and in the second part of this review, I take a closer look at the M60 as a photographic tool, what it means for photography and post more photographs taken with it. Then in the third part, I take the Leica out on the streets for a couple of days of real-world shooting, where I get to fully appreciate what the M Edition 60 stands for as a street photography camera. Looking forward to your discussion of this camera. The design concept appeals to me very much, not as a collectible but as a user camera. Should a standard production model body based on the design concept surface, I’d place an order for it immediately. Thanks Godfrey and I completely agree with you. As a (much cheaper) production model, there’s more going for the principle of a screen-less digital camera than meets the eye. Looking forward immensely to finding out if my suspicions are correct. Thanks very much for this – I’m looking forward to the next instalments! For many years now I’ve longed for a camera that would restore the solid, simple, second-nature shooting process that I enjoyed with my old manual & mechanical film DSLRs. A couple of manufacturers took tentative steps in that direction but never really got it right: the Nikon Df was a bit of a Frankenstein; the Fuji X100 is great and I love mine to bits, but it’s still ‘just’ another digital camera. Buttons, modes, levers, features, knobs, dials, and… a chimping screen. Ugh. This Leica, right here, is exactly what I’ve been waiting for, at exactly the wrong price! There’s no way I can afford that, so sign me up also for the budget version when it arrives. Hi Alistair and thank you. My sentiments exactly and Part Two is now on the blog. Thanks it must have taken a lot of work and research. Thank you. Yes it was a lot of effort but I enjoyed every moment. I just read your wonderful review of the M60. All you said make sense to me. Thanks so much. Previous Previous post: Another New eBook “The British – A Pictorial Guide for Other Nations” . . .
Next Next post: Leica M Edition 60 – Past Future . . .